» Forum » Game manufacturers » Boutique pinball » Predator - what happens to games that have already been made? » Predator - what happens to games that have already been made? Predator - what happens to games that have already been made? In the pinball industry there seems to have been a shift away from the traditional business model of a company believing in a product, making the product and then selling the product. The shift has been towards a model of a company not sure about the success of their product or not sure of their means to produce the product so they go the route of "pre-ordering" to get customers to buy something before it's made. Pinball Inc. and now The Circus Maximus Group have never nor will ever take “pre-orders” for any product we make, including Python’s Pinball Circus (PPC). 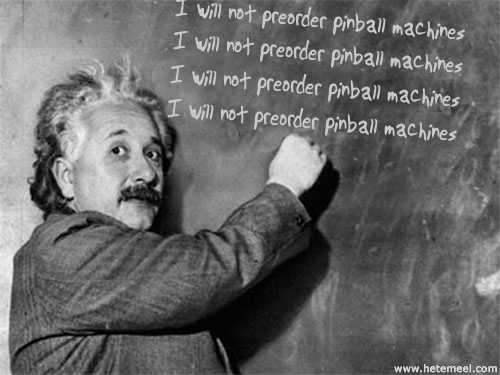 For over 13 years we've been making parts for the pinball community and we have never taken a single payment before the products were in stock and ready to ship, we have believed in these products and we stand behind them. It’s not the role of the customer to take the financial risks, it’s the company who stands to benefit from the financial gain that should take the risk. We've been getting dozens of requests for pre-orders of PPC including requests to send us money as well, we refuse. We will only take orders for the games when they are READY. You will have the opportunity to see and play the game BEFORE you buy it. If we sell out, then we will probably make more. We are enjoying working on the game and we are sure the end product will indeed be the game that deserves to carry it’s name. I think "court order destroy everything" is outrageous when mega-bucks FOX made the stink. it'd been a fairer judgement FOX buys all that good hardware, or just "you cannot sell game with OUR theme" meaning a mandatory re-theme. in their honor I'd redo art-audio etc and call it "predatorY", whoops. Right? Please place funds in an unmarked envelope. No one should think of buying anything from him. Would people hate the person who bought it from Kevin? Please apply the cash I give you to any outstanding debt. I don't think Fox is going to let any parts or games escape. 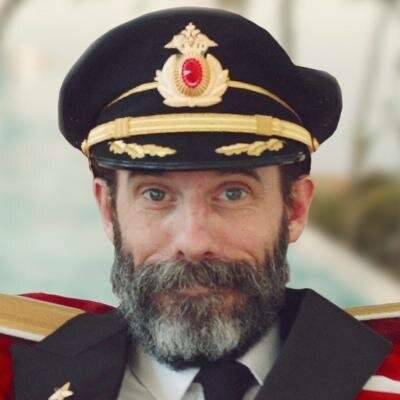 If they choose not to pursue a federal copyright infringement suit against Kevin, it would absolutely be on the pretext that all infringing material is destroyed, and they will reserve the right to file suit if that game or a playfield or whatever turns up down the road. This will be spelled out in whatever Kevin agrees to to keep from being sued now. There are enough pictures on the web that I could recreate the playfield from scratch on any of the CNC wood routers at work. I hope Keven does not get sued by Fox in the future, should I choose to do that. I want the games to survive....for the same reason I wouldn't want that Matrix pin to get destroyed. Licensing issues and subsequent atomic mess aside, Predator was a cool game. I played it at a bunch of shows...and liked what I saw. As long as the game software survives, along with the original playfield art files, the rest can be recreated down the road. There are enough pictures on the web that I could recreate the playfield from scratch on any of the CNC wood routers at work. I hope Keven does not get sued by Fox in the future, should I choose to do that. He might, if it was his files that you used *and you publicly display the game* Fox will hold Kevin responsible for any future breaches, since he created the stuff in the first place. Fox will have no idea what is in someone's basement. So how was the matrix able to get made? So long as you build for your own personal use and not for commercial sale & distribution in any quantity you should be ok. Matrix, Goonies, Buffy all those under the radar like vid states. Once you try to sell beyond a one off that's when you have trouble. People have made Batmobile replica cars, etc. No one ever does anything about a one-off. They didn't. They made a couple and I believe they were planning to convert a whole bunch of JM's for sale but ran into the license issue. The Matrix was was an amazing game to play!